Broad Heath Blogs»Class Blogs 18-19»Class 1 Blue Blog 18-19»Year 1 Reading Challenge Summer 1. Please look carefully at the above picture. Have a go at writing your own simple sentence. Remember to ‘say it, hold it and then write it’. Don’t forget to use a capital letter, finger spaces and a full stop. Read your sentence to make sure that it makes sense. Write five sentences using ‘and’ to describe the characters in the picture. Don’t forget to use a capital letter, full stop and finger spaces. Write five sentences using a conjunction to describe the characters in the picture. Don’t forget to use a conjunction such as but, because, with or soand an exciting adjective in your sentences. Write a sentence to explain how the characters are different. Remember to use finger spaces, capital letters, full stops and check your sentence to make sure that they make sense. This entry was posted in Class 1 Blue Blog 18-19, Class 1 Red Blog 18-19, Class 1 White Blog 18-19, Reading Challenge and tagged reading-challenge-summer1-2019. Bookmark the permalink. 1. Belle is wearing a beautiful, yellow dress but The beast is wearing a blue suit. 2. The beast is hairy and scary but Belle is nice and pretty. 3. The beast has sharp horns but Belle has long and brown hair. 4. Belle has sparkling gloves but The beast has no gloves. 5. The beats ahs a pure white shirt but Belle has a dress. 1. Belle has beautiful brown eyes. 2. Belle is sad in the story because the beast wanted her to have dinner with him and she said no. 3. The beast is a good person but sometimes he acts mean to everybody and gets very angry and loud. 4. When the beast turned back into a lovely handsome man he was a very useful caring man. 5. 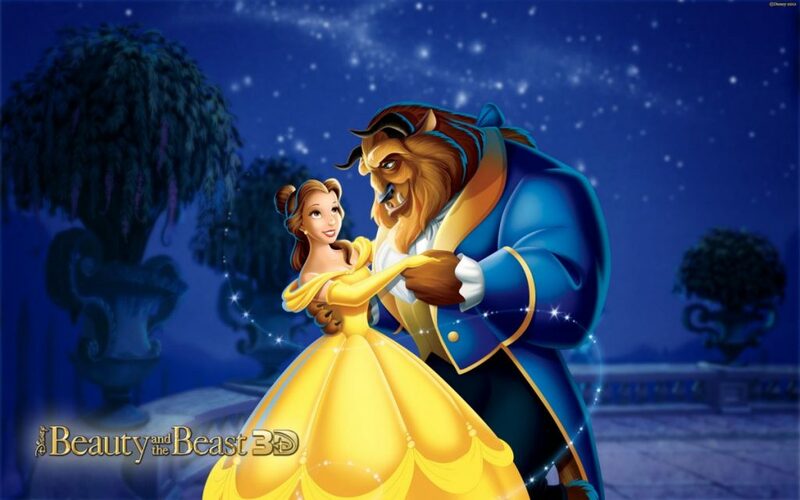 Belle and the beast looked so lovely when the danced with each other and her dress was sparkly and yellow. The Beast is brown and Beauty is peach. Beauty and the Beast were dancing. Beauty and the Beast were friends because they got married. At night they were dancing because they like dancing .After that the Beast was talking with Beauty. 1.The beast was terrific,he had sharp hornes ,sckary teth big eyes 👀 Iong tail. 2. The Beast was a herbal monster but he really was kind to her. 3The Beast was asking her to marry because he fell in love 😍 with her . 4.Beauty had a beautiful yellow shiny dress 👗 and long heair. 5.Beauty was a humen and very beautiful but the Beast wasn’t a human and he looks like he monster. They have a yellow and blue shirt/dress. They are Beauty and the Beast. The Beauty is beautiful and she has sparkly dess. The Beast is kind and he has a shirt.The Beauty and the Beast married in the end. He is a big beast . She is a beautiful princess. They are dancing under the stars happily. Bell is a mammal because she has hair on her. The beast has a blue jacket and he is dancing. Bell has brown hair but she likes dancing. Bell has a yellow dress and she has a peach face. She is butiful and pretty.